Neil Mody is fostering connections by reimagining the phone call. His app, SpareMin, uses both a social and systematic approach to calling to make phone conversations relevant again. Today he shares how his mission to connect with people on a global scale (as well as his background in math and philosophy) inspired him to build his platform. He also reveals why voice communication, in particular, leads to meaningful relationships and big opportunities. 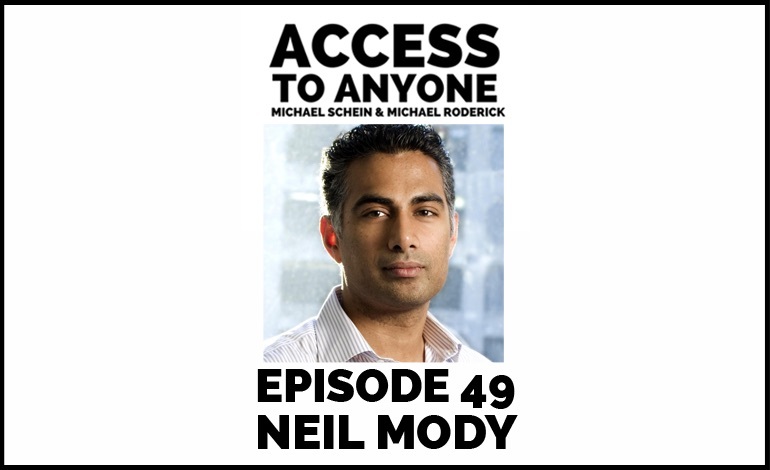 Neil Mody is a serial entrepreneur, angel investor, and Co-Founder and CEO of SpareMin. He was also Co-Founder and CEO of nRelate, which at its peak, became one of the top content recommendation companies on the internet, with over 5 billion impressions a month and over 500 million unique visitors a month.